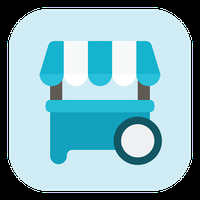 "Before buying search for the best price"
Game Goal: Plaza is a virtual marketplace that allows you to buy and sell products from your Android device. Functions: You can buy and sell products, add photos to ads and exchange messages with other users. You can also search for products sold in the area where you live. How to use: The application allows you to exchange messages without sharing personal data. Controls: The application has a user-friendly interface with intuitive menu icons and images to evaluate products. Recommendations: Application for all ages, ideal for those who like to buy online. Developer: Chatous is based in United States	- Google-Play-trusted developer. Installation requirements: A minimum of 13.05 MB of free memory space and Android 4.0.3 or higher.